While we are awaiting the flagships Mi 5, Xiaomi has now launched the Xiaomi Mi 4S, which is the company’s mid-range offering. Xiaomi has announced the launch of the Xiaomi Mi 4S, which is the company’s latest 4G smartphone in the Mi 4 series flaunting a fingerprint scanner on the back, USB Type-C port and glass back panel. The device has a 5 inch IPS fully laminated display with resolution of 1920 x 1080 pixels. The smartphone is powered by the hexa core Snapdragon 808 processor with 3 GB of RAM and 32 GB of internal storage. 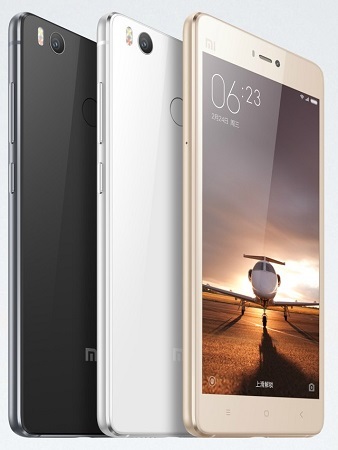 The Xiaomi Mi 4S has a 13 MP rear facing auto focus camera with PDAF and dual-tone LED flash. There is also a front facing 5 MP camera. The device runs on the Android Marshmallow version with a massive 3260 mAh battery. The handset is available in White, Black, Gold and Pink colour options and is priced at 1699 Yuan (approx. Rs. 17800).